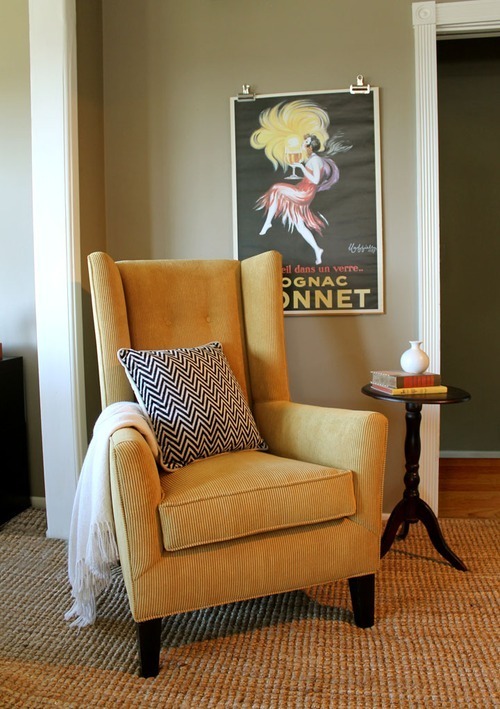 ast year, we scored a gorgeous wing chair for under $300 at a going-out-of-business sale. Clad in a gray linen, she was tall and elegant — and just understated enough to use in multiple projects. To say we loved her is an understatement. There she was. Water-stained, cold and shivering. Dismayed, we put her aside for a while. She sat unused and pitiful in our storage unit while we tried to push through the negativity and carry on. 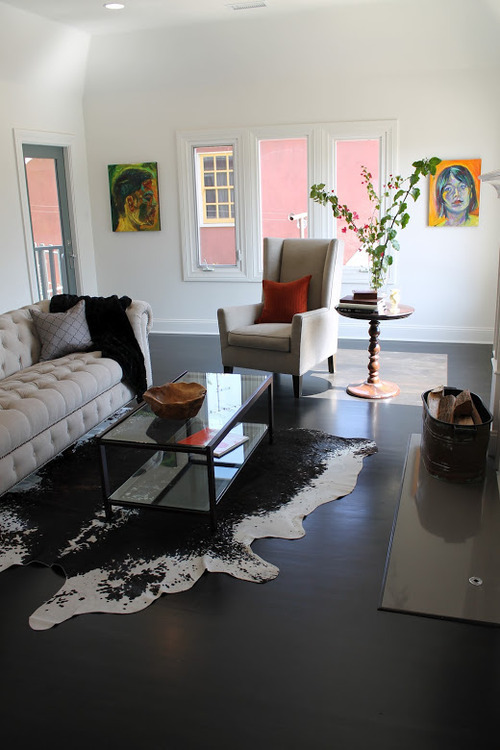 Several weeks later, we met Jessie Genie and her Downtown L.A. loft. Enamored of the myriad bespoke pieces in Jessie’s home, we asked where she was taking her furniture for such awesome upholstery work. “Chemo’s!”, she exclaimed (pronounced “CHEE-mohs”). After a quick Yelp consult (five stars! 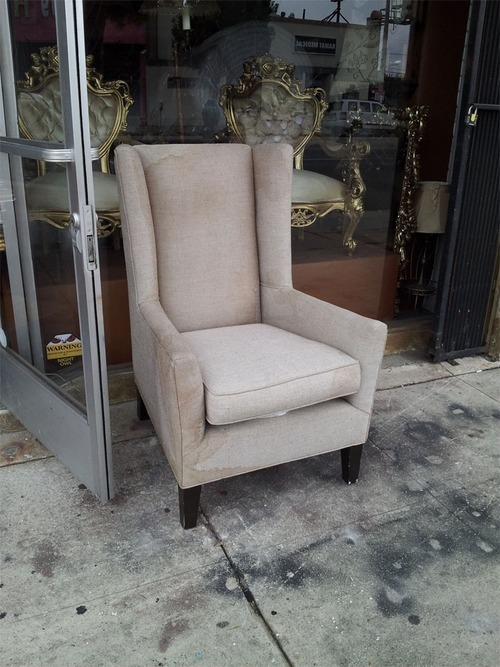 ), we threw our prized chair in the back of the van and headed out to West L.A. We stopped at Mood on Pico and La Cienega for a rich, ochre corduroy fabric on the way. To change it up even more, we asked for some self-welting and a quadrant of button tufts. Three weeks and three hundred dollars later… BEHOLD! She’s currently taking up residence in our soon-to-be-redecorated office here at Madison Modern Home. But keep your eyes peeled in future blog posts — she might turn up somewhere unexpected!